TAMPA---Retired police officer Jim Diamond spent 34 years protecting the city of Tampa. He was on the SWAT team, is a demolitions expert and has fired his weapon in the line of duty. He defended the school resource officer at Marjory Stoneman Douglas High School. Diamond is a former SWAT team officer, explosives and firearms expert. Diamond said he has been shot at and fired back. According to Broward County Sheriff Scott Israel, Peterson waited outside the building for four minutes as killings happened. Diamond wants to know if Peterson was properly trained. He says the officer worked in one of the safest cities in the country in one of the highest rated high schools in Florida. But, that is exactly how the sheriff said Peterson should’ve reacted. When asked by reporters to describe how the video made him feel, Israel responded, "sick to my stomach" and "devastated." "It doesn’t matter who went in first, it doesn’t matter in what order you went in," he said. "What matters is that when we in law enforcement arrive at an active shooter, we go in and address the target and that’s what should have been done." Peterson was named school resource officer of the year in the city of Parkland in 2014 after he had been with the school for five years, records show. According to a booklet announcing the award, Peterson had "proven to be reliable in handling issues with tact and judgment" and was active in mentoring and counseling students that year. 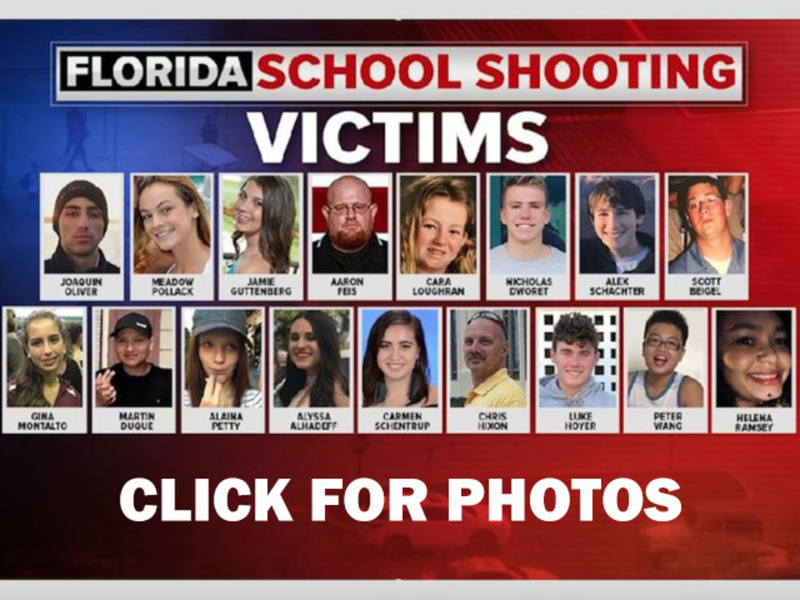 Two other deputies were placed on restricted duty while the sheriff's office investigates whether they "could've" or "should've" done more while dealing with suspect, 19-year-old Nikolas Cruz, amid the 23 calls they received involving Cruz or his brother since 2008, Israel said. Of those calls, investigators feel that two cases "deserve extra scrutiny" to see if there was a policy violation by the deputies involved. Israel also said school resource officers will now be equipped with visible AR-15s on campus. That decision was made after the shooting. Diamond points out that also shows Peterson was outgunned from the start: armed with only a handgun. “I think this is such a volatile and tragic scenario that everybody, everybody is going to overreact, everyone’s going to look at somebody to put the finger on… I think it's inappropriate, I think that’s scapegoating the deputy,” Diamond said. There are also questions about why a tip to the FBI about Cruz fell through the cracks. Diamond says taking all of the failures in their totality don't fall on one deputy. "The cop on the scene is wrong, I don’t care what happens if it doesn’t turn out successfully," Diamond said. "And, I’m afraid in this scenario, that’s what’s happening."